Concrete provides strength and stability to structural members of buildings, bridges, water retaining structures, sewerage treatment plants, wharves, etc. Therefore it is very important to protect concrete and any deterioration or damages must be repaired promptly in order not to compromise the stuctures integrity. 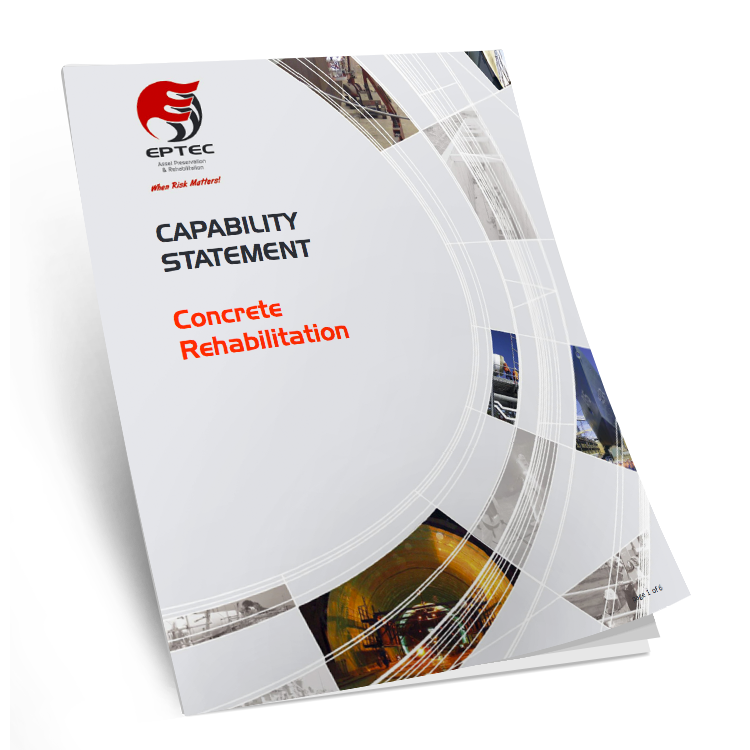 Concrete rehabilitation specially in critical infrastructures is as important as any other maintenance activity and must be carried out in a timely manner. Repairs performed at early stage would save extremely expensive remediations that may become necessary at latter stages. Deterioration of concrete can be broadly categorised into cracking, spalling and corrosion. There are several causes for concrete deterioration and the main cause can either be carbonation or chloride induced corrosion of steel reinforcements or both. For more information on our concrete rehabilitation services, feel free to contact us. Eptec is an experienced and approved applicator for several suppliers of concrete coatings and repair systems including Sika, Parchem, MC, BASF, Degussa, etc.